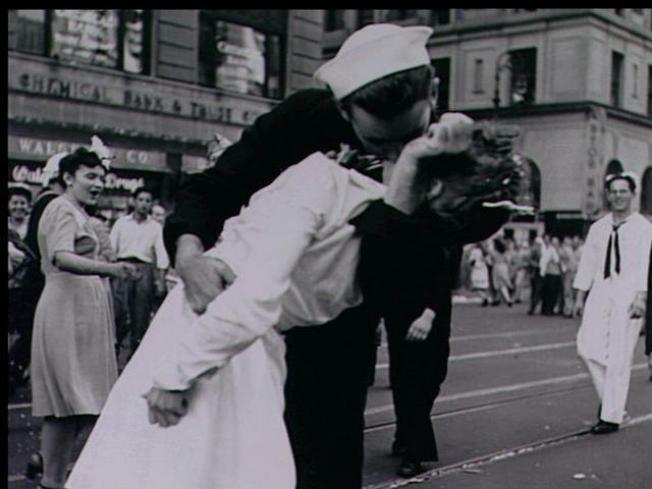 The quintessential Times Square kiss was in 1945 when Carl Muscarello kissed Edith Shain on VJ Day to celebrate the surrender of Japan and the end of WWII. Fifty amorous New York City couples are puckering up and practicing for the perfect New Year's Eve kiss. Organizers of this year's massive New Year's Eve party in Times Square and representatives from NIVEA Lip Care are providing professional kissing tips to the lip-locked lovers on Friday. Kissing expert Andrea Demirjian will help guide the couples as they practice for the biggest group kiss to take place when the famous Waterford crystal ball drops in Times Square on Dec. 31. Demirjian is the author of the book "Kissing -- Everything You Ever Wanted to Know About One of Life's Sweetest Pleasures." She says practice makes perfect. What's the true essence of kissing? Listen to the connoisseur.